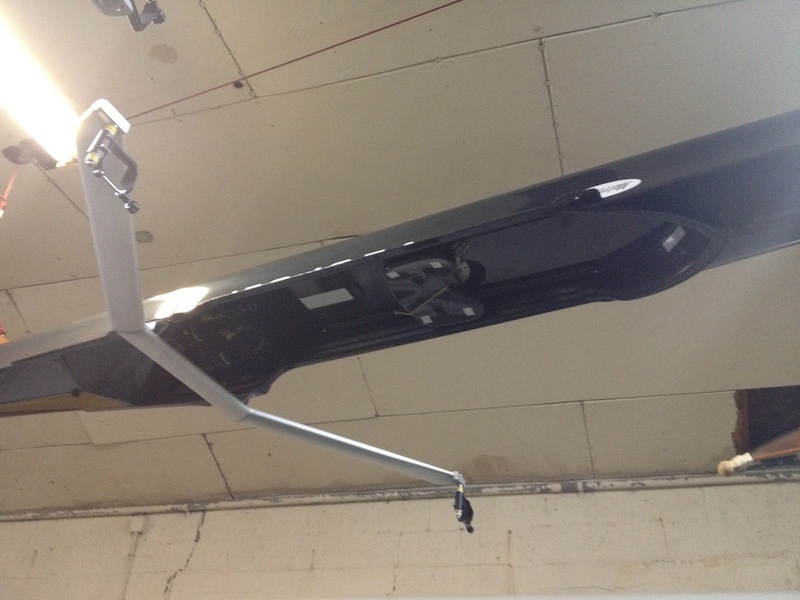 2012 Vespoli Matrix 26 1x | Andrew N. Blackwood, Ed.D. 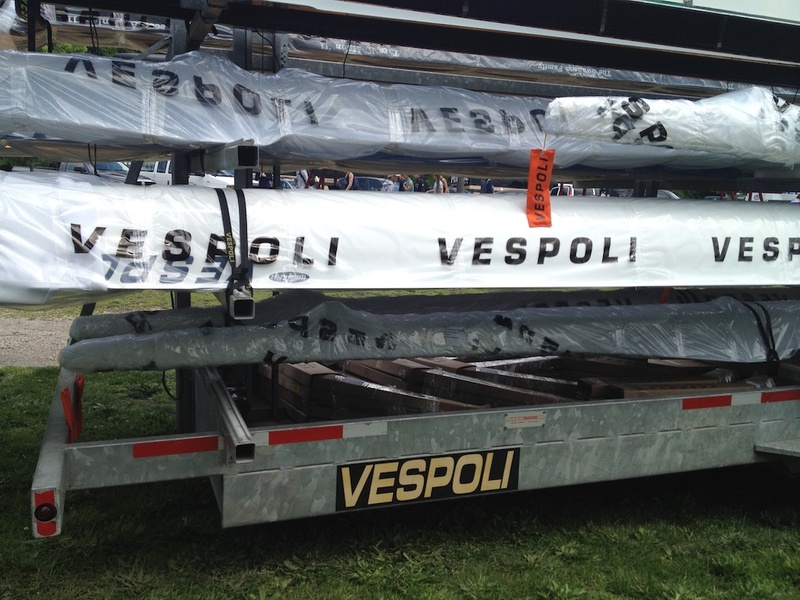 On Saturday, May 12, 2012, I took delivery of a custom-made 2012 Vespoli Matrix 26 1x at the Dad Vail Regatta in Philadelphia, PA. 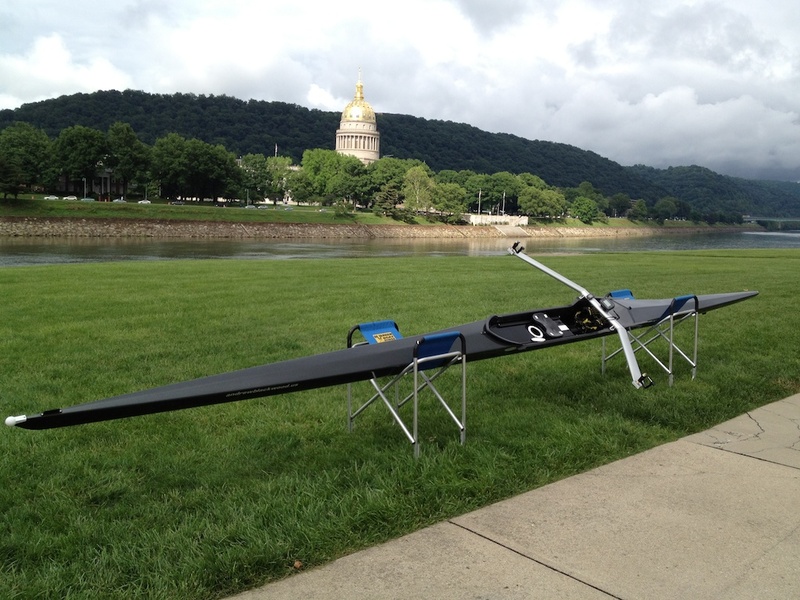 It was transported back to Charleston along with the University of Charleston Women’s Crew and is now rigged and stored in the UC Boathouse. 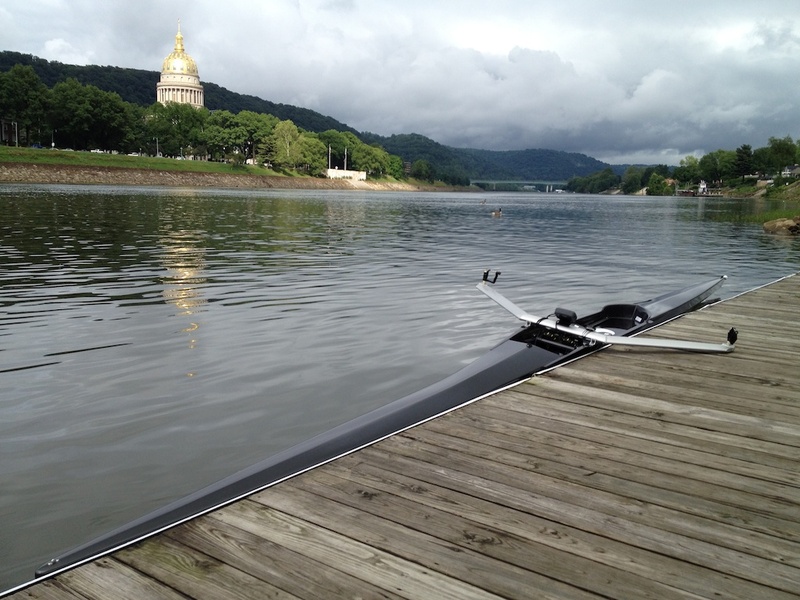 I’ve taken the boat out on the Kanawha River twice and am working on tweaking the rigging. 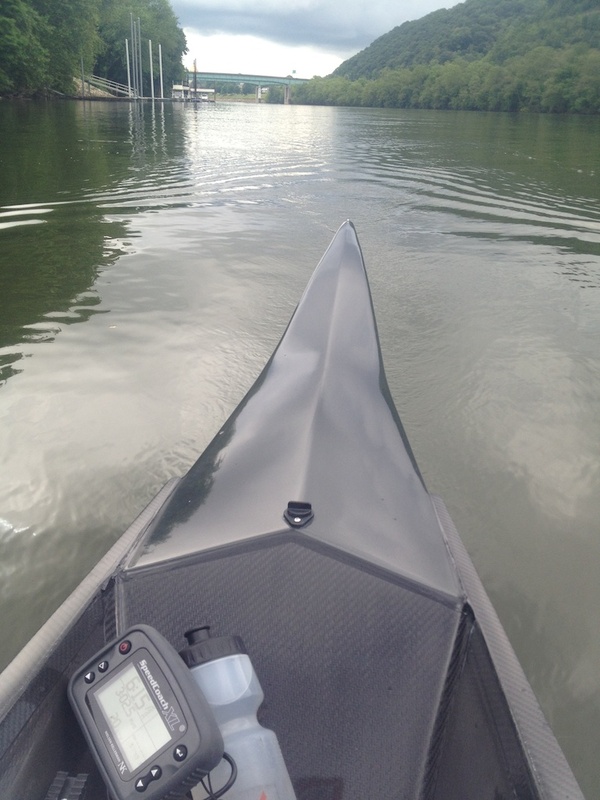 It is clear that the boat is very responsive, quick, and much more forgiving than my old 1995 model Vespoli 1x. The hull shape is wider at the cockpit and narrower in both the bow and stern sections. 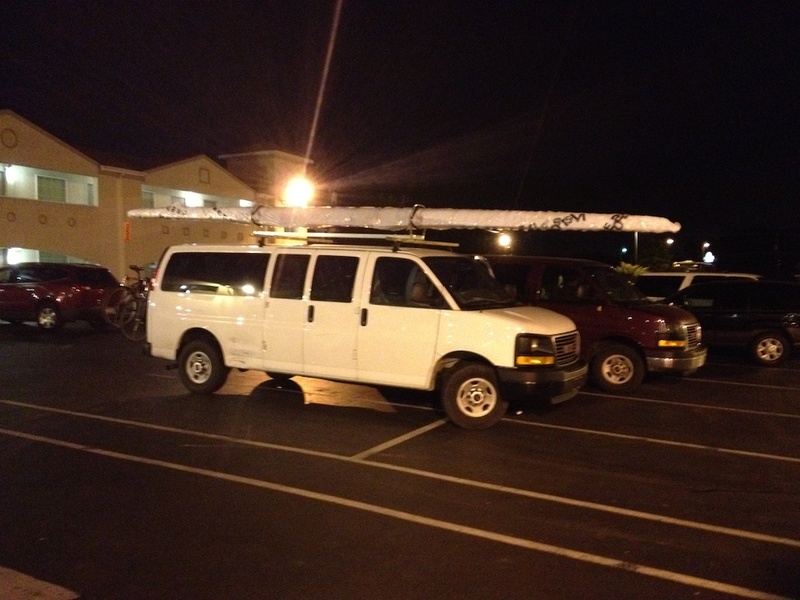 This lowers my center of gravity and makes the boat much more stable. 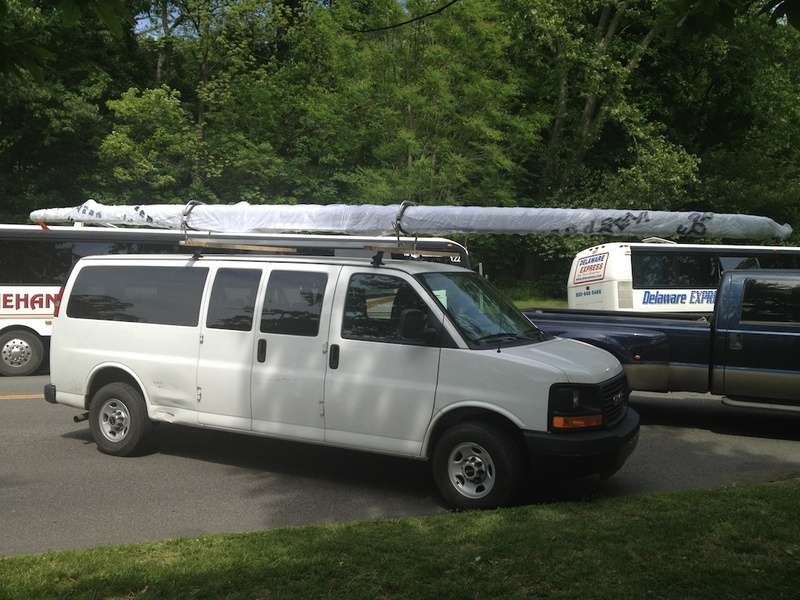 On the van getting ready to leave the Dad Vail Regatta. About to get on the road back to Charleston. 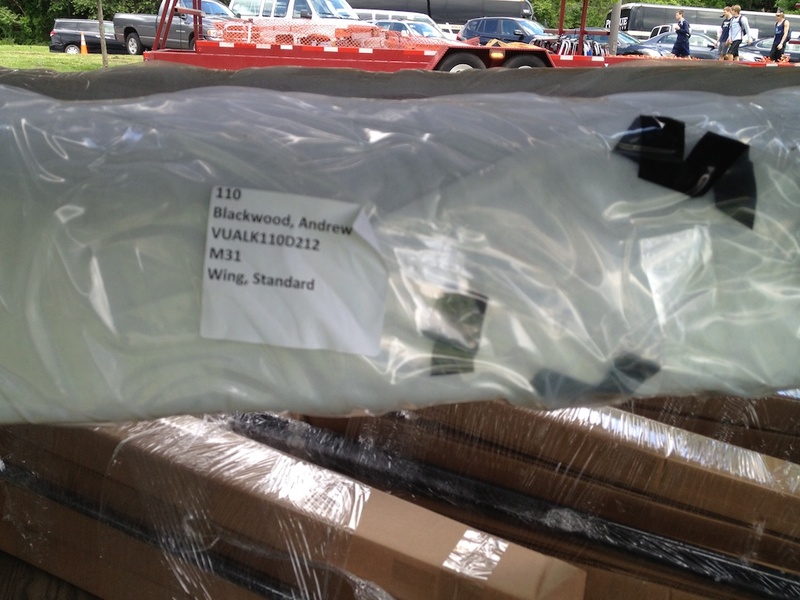 Unwrapped, rigged, and in its new home. 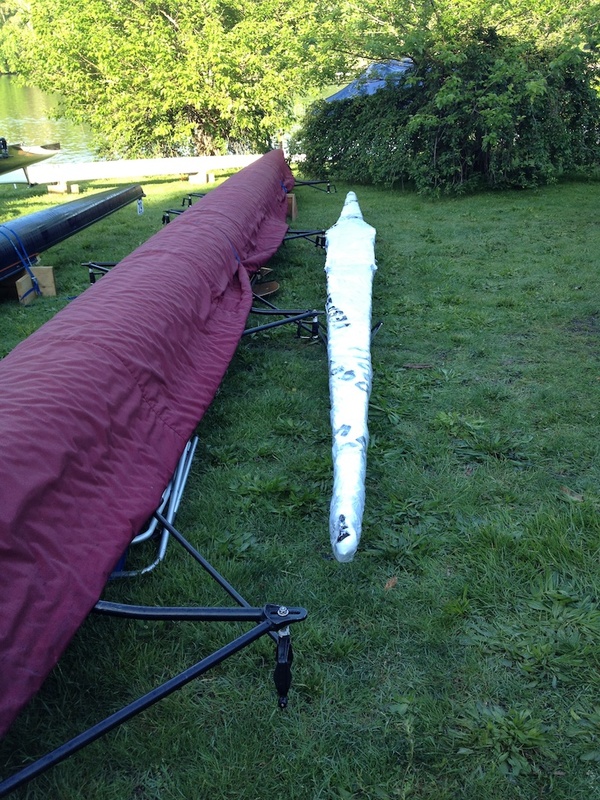 Getting ready for her maiden row. First time on the water. 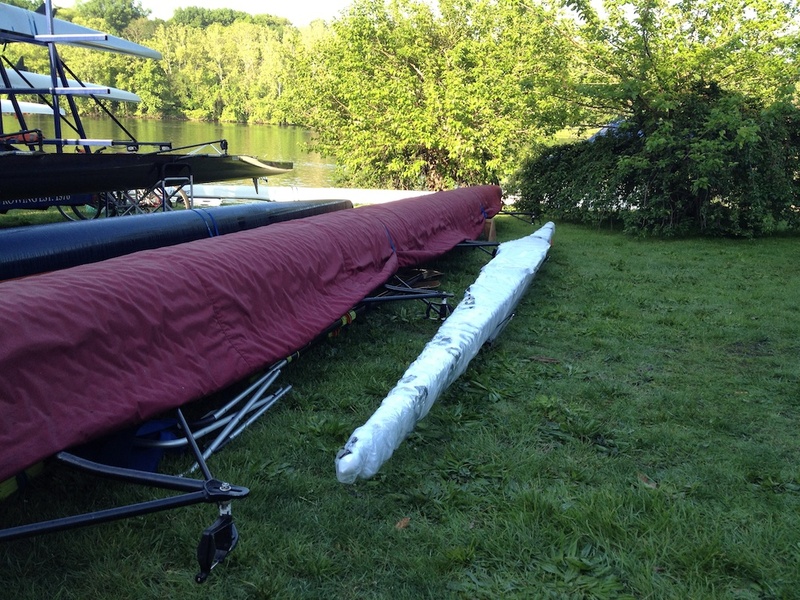 This entry was posted in Equipment, On Water, Rowing. Bookmark the permalink.